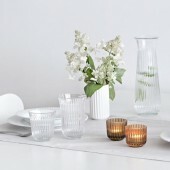 The original Lyngby Tumbler 26 cl. 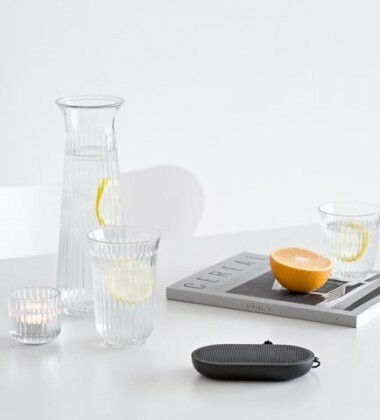 makes your serving of beverages particularly stylish. 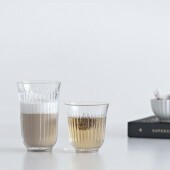 The tumbler suits any occasion and adorns any dining and coffee table with its elegant grooved design. 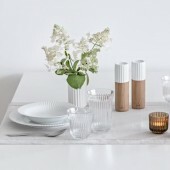 The tumbler is part of our new beautiful collection of glassware and carafes, which harmoniously expands our design DNA and Lyngby Dinnerware collection in porcelain. 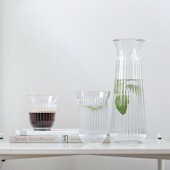 Combine the tumbler with other products and colors in the series and create your own personal expression. 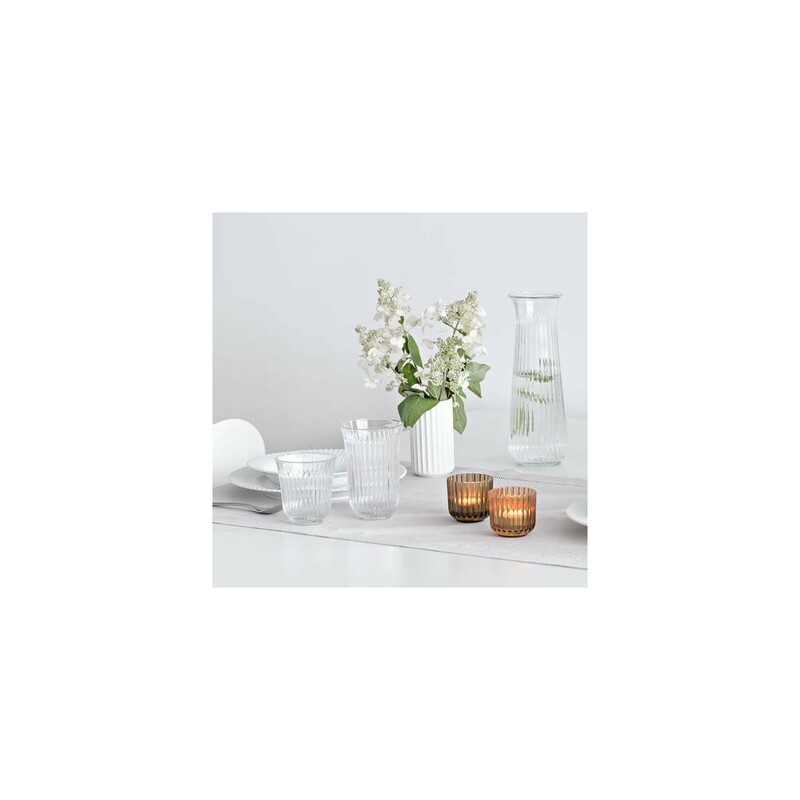 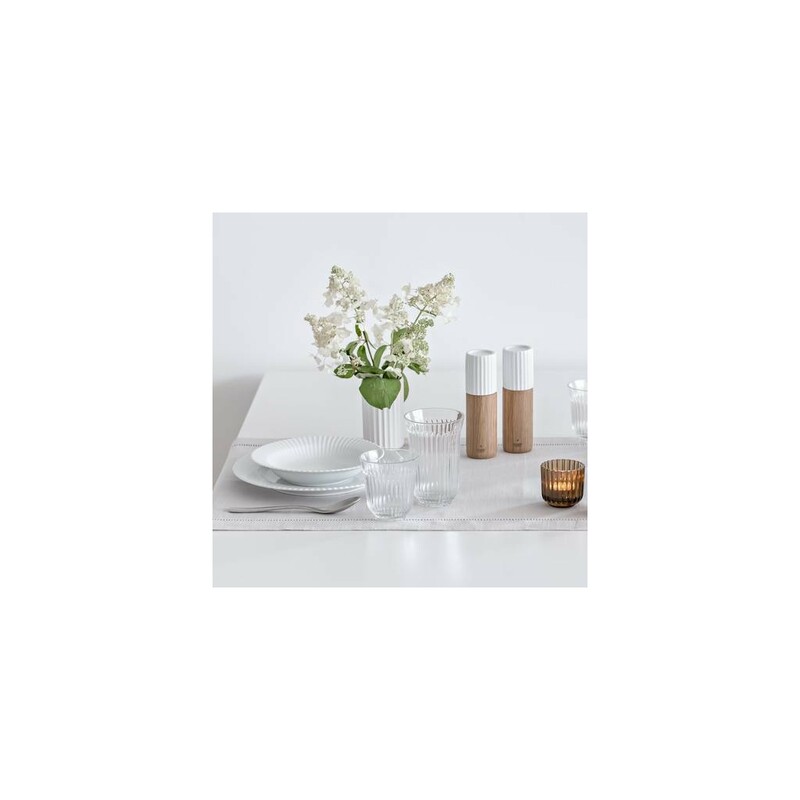 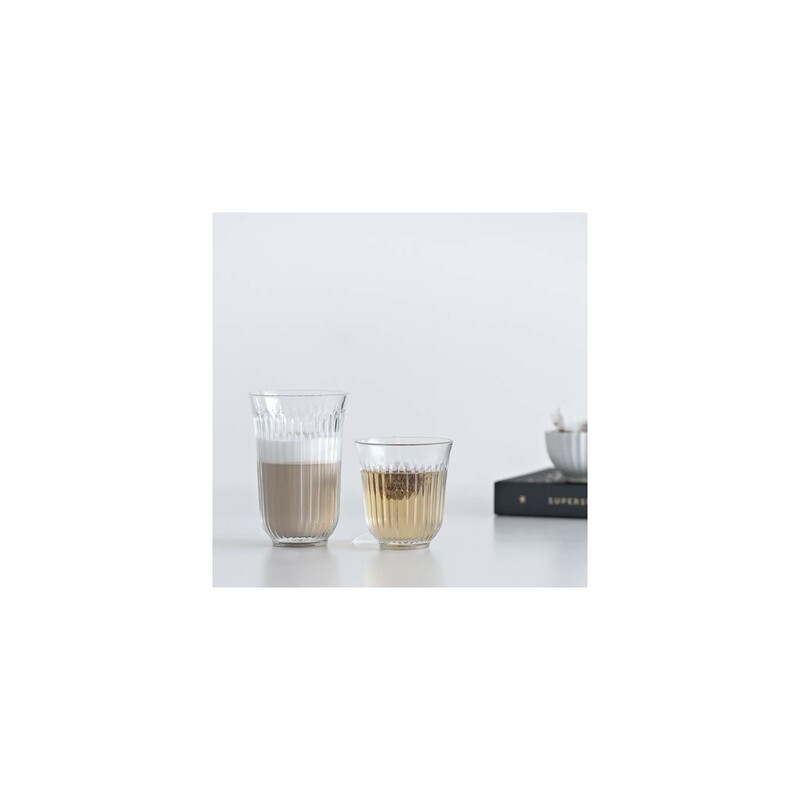 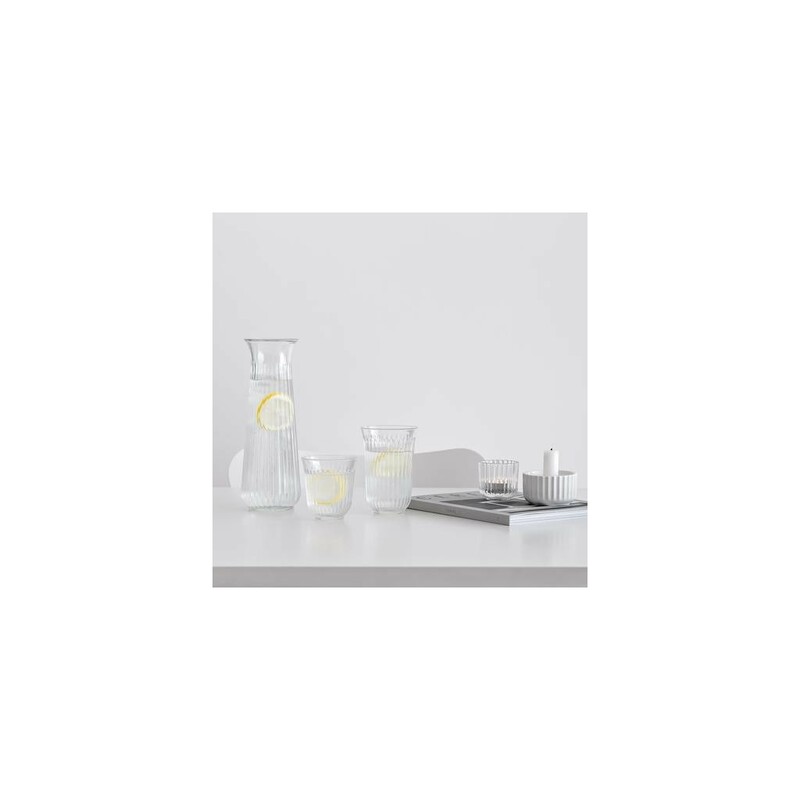 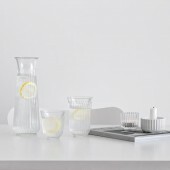 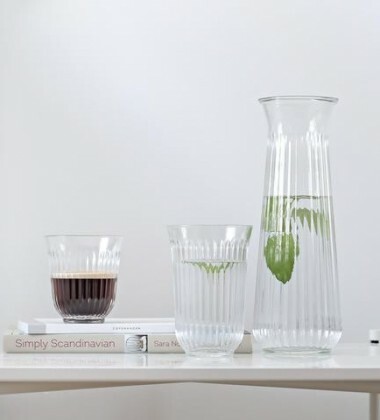 Use and care: The Lyngby Tumbler 26 cl. 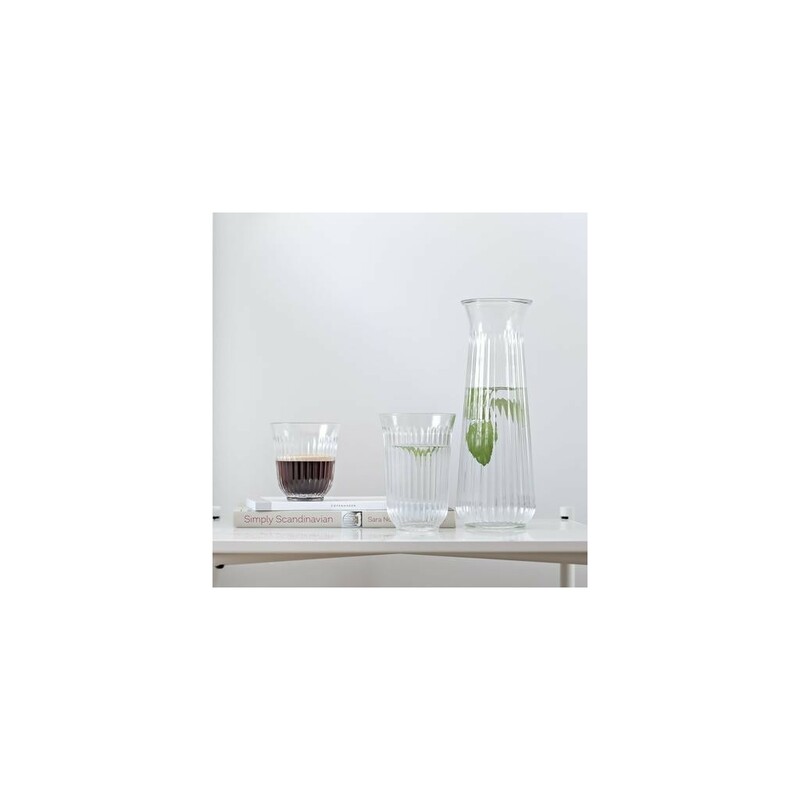 is made of tempered glass of high quality, gloss and durability. 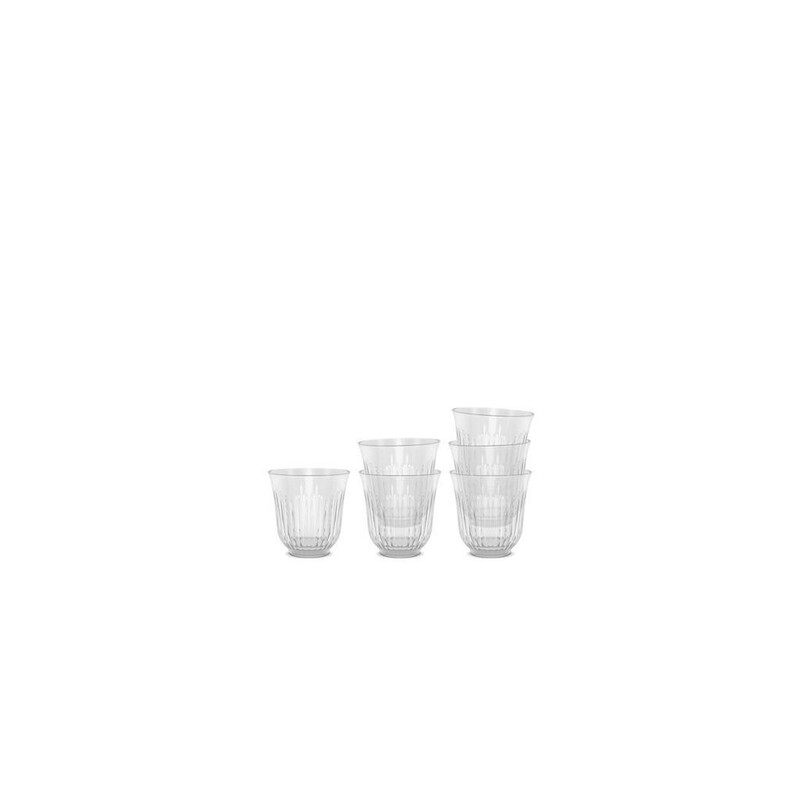 It can be used for both cold and hot drinks up to 135° C as well as in the microwave oven. 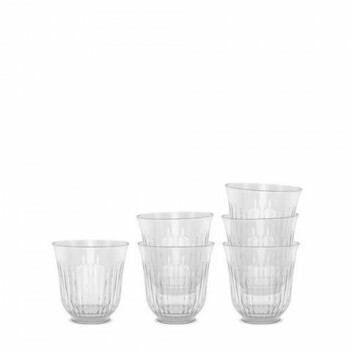 We recommend washing the tumbler at maximum 55° C in the dishwasher.